Artist’s performance days are listed on the Who is on When page and a basic outline will be available online in mid August. You can pre-order a souvenir programme with your tickets, or buy a programme onsite at the ticket office when you arrive. It contains a wealth of information about what’s going on, a detailed timetable of events and lots more! Programmes will NOT be posted until 15th August. If you are away from home after this date i.e. on holiday, please don’t order one. 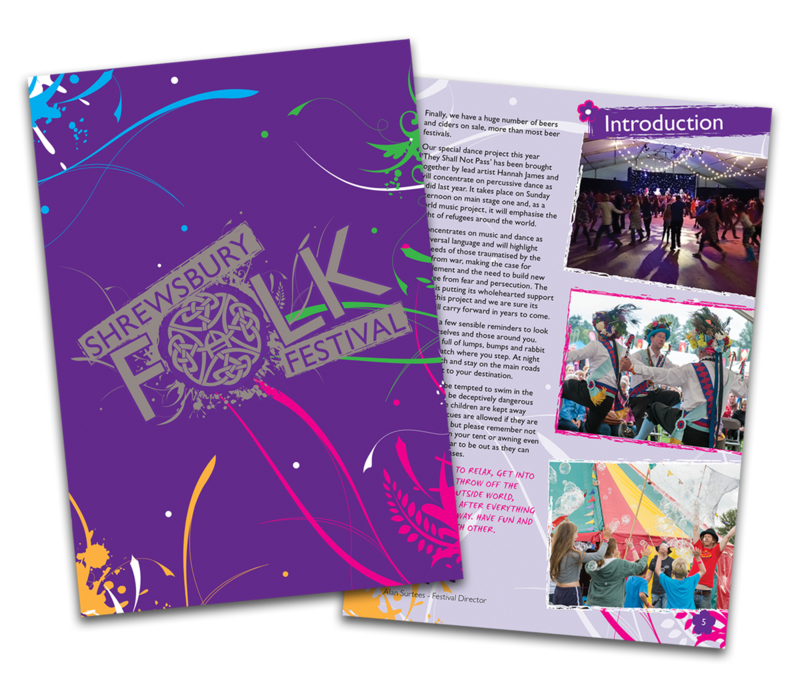 If you live locally, programmes will be available (from the 15th August) at the Shrewsbury Visitor Information Centre in The Music Hall, The Square, Shrewsbury.